Yoga injuries: who’s at fault? Ever been injured in a yoga class? Chances are, we’ve all felt a twinge in one class or another. So, who’s at fault? The teacher? The student? Or are occasional tweaks simply part of being active and exploring our limits? What?! “How long did it hurt?” I asked her. “Did you feel pain during class?” I couldn’t imagine any intro poses injuring this healthy 20-year-old university student. It turned out that her muscles were temporarily sore from holding an upright posture instead of her habitual slouch. Sometimes beginners mistake post-class “delayed onset muscle soreness” for injury. Or, during class, they stop as soon as lactic acid builds up. Over time, they must learn to distinguish between injurious pain and strong sensation, which is essential to progress. Experienced students are probably more likely to sustain injuries since they do trickier poses, including deep backbends and long inversions. Interestingly, among Iyengar yoga students anyway, longtime practitioners are less likely (I’d say unlikely) to “blame” the teacher. Once, a decades-long student broke her humerus doing a strapped version of Parivrtta Parsvakonasana in a class taught by a highly respected senior teacher who knew her well. “I toppled over,” she said, shrugging and smiling. Not once did she imply that the teacher was at fault. Clearly her bone density must have been compromised, and she knew it. Her injury was unexpectedly severe, but anyone can strain a muscle going too far or holding too long. The question is whether the teacher’s instructions were… reasonable. Is it likely that an accident will happen? How serious would the resulting injury be? What is the cost/burden of taking adequate precautions? Applied to yoga, we might ask whether a teacher acted according to a “reasonable yoga teacher standard” (or a “reasonable Iyengar yoga teacher standard”). 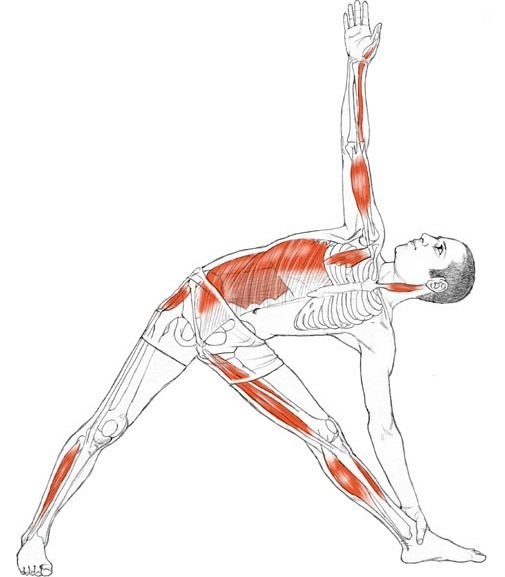 If I teach Salamba Sarvangasana (shoulderstand), is it likely that students will hurt themselves? If they do, how serious would their injuries be? What could I do to prevent such injuries? Here, the answer is clear: Most would hyper-flex their necks doing perpendicular shoulderstands on the floor. That would cause major damage. The precaution is the classic modification: Use a stack of blankets to raise shoulders and protect cervical vertebrae. The issue of fault is slipperier when there is “touching” involved. It’s one thing verbally to direct a student to twist further or bend lower. It’s another thing altogether manually to push a student deeper. Recently a yoga colleague (also a teacher) injured a wrist when a well-regarded yoga teacher adjusted her hands in Paschima Namaskarasana in Parsvottanasana during a workshop that I also attended. It was a “big adjustment” that sent shooting pain along her outer wrist; months later she was still in distress and seeing an orthopedic surgeon. She noted that the teacher was unaware of her shoulder restriction on that side–and thus didn’t blame the teacher. Was that a reasonable adjustment? Was it likely that a student might be vulnerable? What was the potential for major injury? How else could a teacher guide a student into a deeper pose? Personally I’ve always appreciated hands-on adjustments, perhaps because my original teachers were firm yet careful in their touch. I’ve heard of the life-changing, forceful adjustments that BKS Iyengar would give: a sharp prod, a hard slap. Well, all I can say is that most teachers should not try those unless they want to hear from an injury lawyer real fast! She warned that I might hurt myself; I should check in with my body, from the inside, not instantly jump to perform a teacher’s instructions. That stuck with me. When we step into a yoga class, we must accept responsibility for our bodies.While a huge manual adjustment might take us by surprise, we can certainly avoid causing harm ourselves. Thoughtful post on a very deep and complex issue. I’m a simple dude, so I’ll keep my thoughts pithy – Surrender and honor your true self. I keep lamenting about the first yama, Ahmisa … This applies to both students and teachers. Yoga is a beautiful and inspiring heuristic process, that sadly, we in the Western World have mucked up pretty good. How do we fix this? Honor your true self – Be kind, gentle and do no harm, Smile, and Smile some more! I haven’t been injured yet but I have had stabbing pains in my right foot. I’ll ask the teacher why next time. I think often times the student needs to be more focused on the teacher’s methodology. Reblogged this on IYENGAR YOGA BLOG. I always look forward to your posts! I had a woman in class I was subbing last week who was complaining of shoulder problems. I was teaching Dhanurasana and gave her instructions to instead do the modified Salabhasana with knees bent. As I was assisting another student, she attempted the classic pose and popped a rib. I spent the rest of the class tending to her injury while leading the other students through the sequence. At what point do we have to as teachers police students when we ask them to hold back? Really enjoyed your post! I’m a yoga teacher and I’ve injured myself during classes and home practice. Nothing major but just small tweaks here and there. Sometimes it can’t be prevented especially if we are challenging our poses. I think injuries are going to happen from time to time it’s part of being active even if you know proper alignment 🙂 although I probably over cue in my classes at times because that is my first goal to try and keep everyone safe. I think the more we do yoga the more body awareness we develop which helps us learn when to push and when to back off. Great post! Great post on yoga injuries! A nicely articulated article on a complex question with no definitive answer. I think a long-time practitioner will have developed the body awareness (in most situations) to know what they can/cannot do, and will be more likely to speak up if an adjustment is not appropriate for them or to take modification. Whereas a new-to-yoga student who is exploring their personal space for perhaps the first time in their life, will be bouncing from style to style and instructors, will be more prone to injury because a) they have not developed that body awareness and b) don’t realize that an instructor can hurt them if they don’t speak up about past injury/current injury/or physical limitations and c) are unable to put aside the need to “compete”. As for teachers, I think only experience, time, and continuing education will help an instructor improve their cues and hands on adjustments – if they choose to even do hands-on work. I strongly believe that a teacher has to KNOW a student’s body before attempting any hands-on adjustment. I get very suspicious if teachers adjust students that are new to their class. You have to see their bodies moving through a range of postures to assess where they’re at. I’m hyper mobile after 13 years of gymnastics and a decade of forceful dynamic practice, now working with SI issues and trying to rebuild stability in the hip area. I can’t count the number of teachers who get excited about my flexibility and push me to go deeper, bend more and take it further. Great post! I think both the student and the teacher need to take responsibility – students for alerting the teacher to any injuries and teachers for asking about injuries, observing the student’s body and adjusting with gentleness, especially for new students. I’ve injured myself mildly in a few yoga classes – a couple times the teacher pushed me too deeply into a pose. I couldn’t really stop it, and didn’t know it would happen, so sometimes these things can’t be avoided. Because of this, I prefer to do gentle hands-on rather than pushing students with force. Nice to hear you mention Mary Lou! Luci, thank you for writing about yoga injuries. 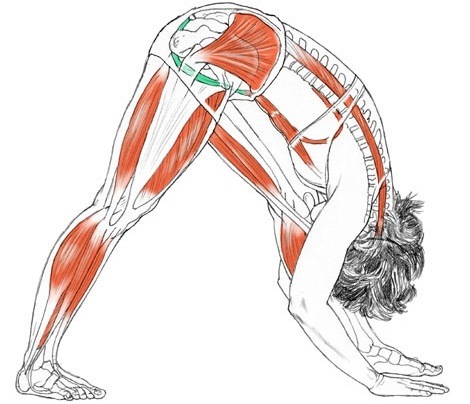 In my work in creating YogAlign, I sought to create a system that would reinforce natural upright postural alignment and balance the forces of tension in the human structure. Misalignment is the cause of 95% of all chronic pain and most people age by going forward. Most people have strained back and hamstring muscles from the shortened flexors in the front body. The human body is a global continuum and is designed in curves and spirals. Straight lines and right angled shapes found in many yoga asanas require practitioners to pull on the parts to get the body in the shape. Oftentimes in the quest to do a yoga pose, we sacrifice the natural integrity of joint structures to ‘get in the pose’. We are all encourage never to slouch and flex the spine when sitting and yet there are dozens of yoga poses that flex the spine and stretch the necessary ligament tension in the back needed for upright posture. 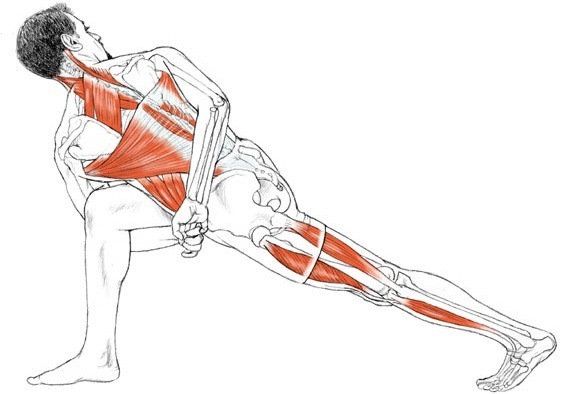 Stretching muscles is a myth in many ways because muscle tissue does not stretch. Muscles contract or relax and cannot be stretched. Our body engages a contracting stretch reflex to protect muscles and tendons when we try to stretch. Our muscles cannot be pulled into a longer length and the connective tissues have collagen bonds that break when put under pressure. We need to engage the body in global ways that simulate movement and balance tensional forces. Static positions that reverse the curves of the spinal column and flatten the sacrum serve no functional anatomical purpose. Thanks Michaelle and everyone for your comments. Readers: I met Michaelle in 2006 on the island of Kauai, while on assignment for Lonely Planet. Already back then (way before it became mainstream to discuss yoga injuries) she was concerned about asana risks and was developing her YogAlign method. Eventually she published a book, which includes impressive photos of people’s postural improvements. Coming from an Iyengar yoga perspective, I differ from Michaelle on a few things, but I wholeheartedly support her work. She is a creative thinker and has real aloha spirit.